In a softening-reactor a bed of sand and pellets is floating in the water. By adding chemicals like caustic-soda or lime a reaction is triggered that will force the calcium out of the water and on to the sand. The sand grain will grow bigger and turn into a pellet. To keep the process stable the pellets are removed periodically and new sand is added. 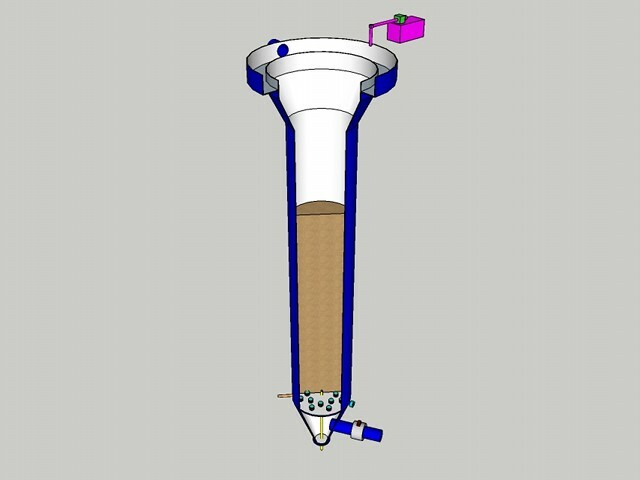 At the top an acid is added to correct the pH level of the water The process is normally followed by a carry-over filter to filter out the turbidity that is caused by the softening process. 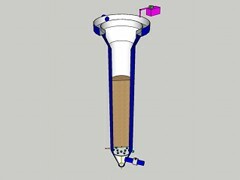 Look at an video presentation of a softening-reactor.